Leonardo, Italy’s main industrial company, is one the top ten global players in Aerospace, Defence and Security. The company is organised into seven business divisions: Helicopters; Aircraft; Aero-structures; Airborne and Space Systems; Land and Naval Defence Electronics; Defence Systems; Security and Information Systems. With revenues in the UK of £2.3 billion, including £1.3 billion of exports, Leonardo makes a significant contribution to the UK economy, employing 7,400 highly skilled personnel across the country. The company invests around £200 million in Research and Development (R&D) in the UK, and continues to sustain and invest in a substantial UK supply network of around 2,300 companies. 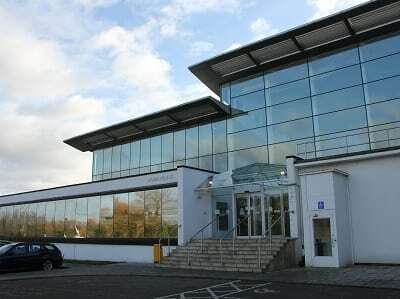 The company’s site at Basildon is the headquarters for Leonardo’s UK Land and Naval Defence Electronics business. Here, nearly 1,000 people are involved in the design and development of thermal imaging systems, radar systems, radio communications, electronic warfare, infrared detection, signal processing and network systems. A high-technology business like this depends on access to a highly-skilled workforce. The company is able to recruit most of its staff locally and is able to provide early career opportunities for the region, with a variety of business and engineering apprenticeship, graduate and placement schemes available at the site. The company works extensively with educational partners across the region to inspire the next generation to consider the career opportunities available in Science, Technology, Engineering and Mathematics (STEM). Many graduate recruits also make their homes in Essex – they enjoy the quieter, rural life but like to have London so close. Being a global business, Leonardo benefits greatly from Essex’s strategic location and excellent national and international transport links. The Basildon site is just a short drive from Tilbury Docks and the London Gateway container port, which is one of the UK’s most important hubs, enhancing the economic competitiveness of Essex businesses even further. 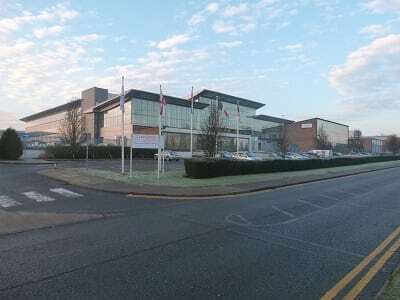 Leonardo (formerly trading as SELEX Galileo) has a long, proud history in Essex and is using that strength to maintain its position in fiercely-competitive global markets. See here for more information on Leonardo.